A blog of lessons, tips and themes I have used during my time as a Senior Infants teacher! A lot of time is spent teaching various blends and digraphs in Senior Infants once they have solidified their knowledge of basic sounds and blending. I like to begin teaching digraphs with the consonant digraphs: 'sh', 'ch', 'th' and 'wh'. I find they pick these up quicker than others, as they can name words that start with these sounds quite easily. The sounds are often more useful to them in their reading too. Also, while I find they often confuse vowel digraphs with each other, they rarely have this problem with consonant digraphs. As I have made and found so many resources connected with these sounds, throughout my time teaching in infants and in learning support, I have compiled a list of the various activities I used with the children. Keep in mind that I did not use every activity for every sound and some were only used when all 4 sounds were covered. 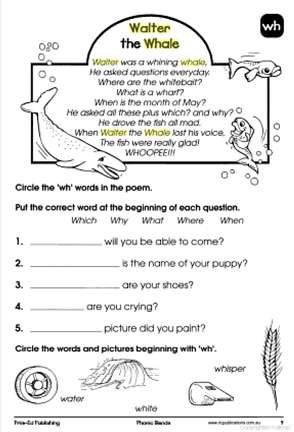 The activities can be combined to form a lesson or alternatively some could be used in literacy centers! 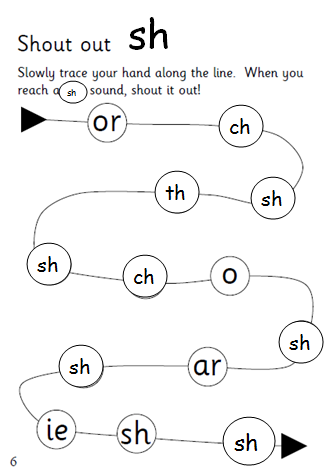 As in most schools, I used the Jolly Phonics programme to teach the sounds sh, ch and th initially. You can find the video here. I played the video on many occasions for the children while they ate their lunch. I found playing these songs and other vocabulary building songs and stories (e.g. The British Council LearnEnglishKids website) to them, calmed them down before they went outside and it also meant they were learning at a time which can sometimes be wasted learning time. Surprisingly, they did not seem to mind the repetition! I also used this video to show them the various words that can be made using the sounds. I put the following pictures up on the IWB and got them to only shout out the sound if we landed on the particular one we were learning, while tracing the snake pattern in the air. I varied the speeds so that it was more exciting. These are edited resources of something I found online. 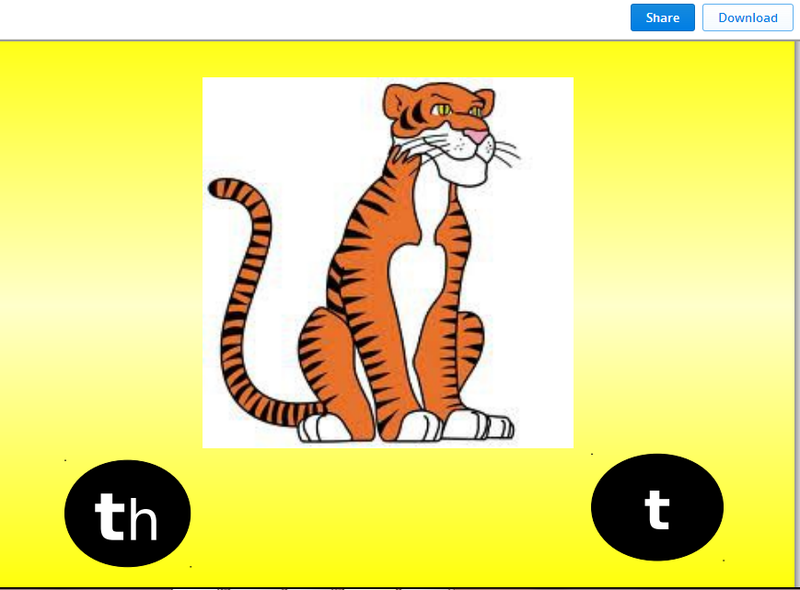 You can download the PowerPoints I made and used by clicking on each digraph: th sh wh ch. 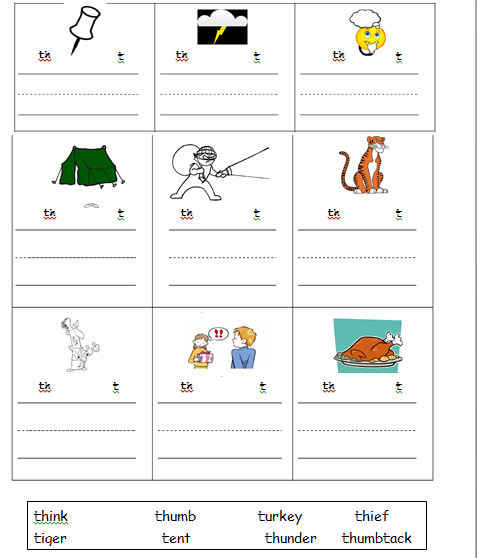 I have downloaded, created and used various worksheets where the children must either circle/cut out/colour/sort the wh, sh, th or ch words. I had the children draw pictures of a word containing the sound and their pictures were put up on the wall around the sound being covered that fortnight. I had 4 colourful party bowls in the middle of the table, each labelled with a sound (sh, th, ch, wh or any other sounds you want to include). They had to sort their selection of picture cards into the bowls in the center of the table according to the sound each began with. In groups they played a board game where if they landed on a consonant digraph they had to name a word that started (or ended) with the sound. They then could roll again and take another go. You can download several bingo cards I made up to test the children's recognition of the sounds here. You can also play the game with words in the boxes as opposed to just the sounds. I read the children a story containing words starting with the sound in question and they had to put their hands on their heads when they heard a word containing the sound. 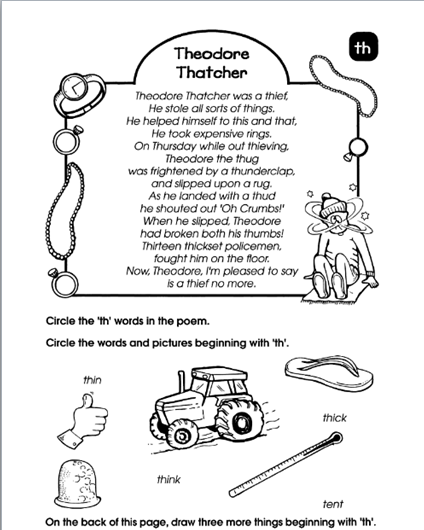 Prim-ed do a series of poems featuring these sounds such as Theodore Thatcher and Walter the Whale. 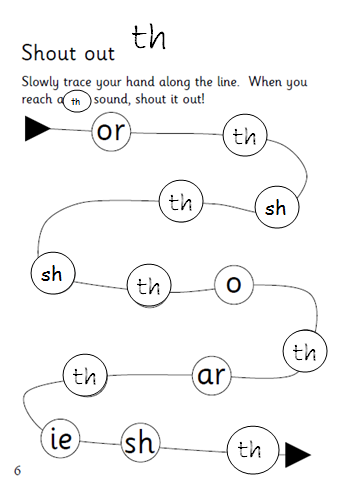 Oxford Reading Tree and similar companies also sell books which are quite simple and dedicate each book to a particular digraph. This is also a great opportunity to use a Big Book too! I hope some of these ideas get your creative juices flowing! Let me know if you have any other ideas for the teaching of these sounds! The Sun, Moon and Stars! Maths Centers in the Morning! Images and content featured owned by seniorinfant.blogspot.com unless otherwise stated. Watermark theme. Theme images by Josh Peterson. Powered by Blogger.